Over 50% of people over the age of 70 have a hearing impairment. Left untreated, the loss results in social isolation, lack of intellectual stimulation, depression and higher rates of dementia. But pending legislation could help this problem. Hearing loss often comes on gradually and slowly cuts people off. At first, others seem to be mumbling and you strain to understand. You start asking people to repeat themselves. Or you notice that you have increased the volume on the TV. Conversations in large groups become difficult, then impossible. You find yourself avoiding large gatherings, then even small ones. The effort to hear is simply too exhausting. Hearing loss can be mitigated with hearing aids. However, one hearing aid can cost between $2,000 and $3,000. And most people need 2 hearing aids. Medicare and most private insurance do not cover the cost of hearing aids. Therefore, many seniors cannot afford to buy hearing aids, and live with with increasing isolation and debility. In a rare display of bipartisanship, senators and congressmen of both parties brought forth bills (S670 and H1652) in March that would allow over-the-counter (OTC) sales of hearing aids. These OTC aids would be designed to address the most common problems associated with mild to moderate hearing loss . People could purchase them without a prescription, just as people now purchase eyeglass “readers” at many retailers. They are not prescription glasses, but they enable many to read more easily for very little money. The proposal for over-the-counter hearing aids is part of a longer-term strategy. Given the rapid rate of technological advancement in related fields, the hope is that by opening up the market, innovators will be attracted to new opportunities. 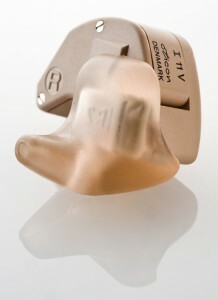 At the present time, six companies manufacture almost all hearing aids sold in the United States. Audiologists typically develop relationships with one or two manufacturers, and a person’s choice of hearing aid is limited to the relationships developed by their audiologist. It is a closed system with high mark-ups that does not attract competition. If there was an opportunity for manufacturers to sell directly to consumers, it is hoped that companies with acoustical expertise (think Bose, Apple, TV manufacturers), will enter this market. Hearing aids will become better and cheaper, a double win for the consumer. Audiologists and their trade associations are predictably opposed to this legislation. They insist that people with hearing loss cannot be properly served without individualized testing and access to periodic adjustments to their hearing aids. They are correct that individualized aids will provide a higher quality result. What the opponents fail to acknowledge is that the current cost of hearing aids is beyond the reach of many seniors, and that many common mild and moderate hearing problems can be addressed without a prescription product. The quality of daily life is intricately connected to the ability to hear. Low cost, easily accessible hearing aids would provide immediate relief to millions and delay, if not prevent, the onset of dementia. OTC hearing aids are likely to jumpstart innovation in this field, leading to improved hearing aids at a lower cost for everyone. These bills are now making their way through the committee process. If you want to endorse this legislation, the Hearing Loss Association of America, a consumer advocacy group, recommends contacting legislators. You can find more information about this here.